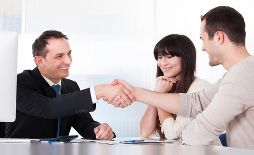 Drivers in North Carolina understand the importance of having auto insurance coverage. With so many different types of coverage, and with such a wide range of premiums and deductibles, drivers need to understand what coverage they need and what they can afford. 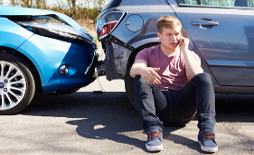 When some people get involved in an accident, they seek to obtain compensation beyond the funds offered by a liability claim through the court system. A personal umbrella policy offers liability coverage beyond that offered by regular auto or homeowners insurance policies. 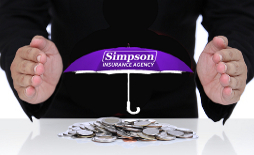 Simpson Insurance Agency is proud to offer a variety of Commercial Lines Coverage product lines. These types of insurance are essential for the protection of business owners that needs payment and renders of service due to negligence. Contact us today for more information. A family home is the single largest and most important purchase a person makes in a lifetime. 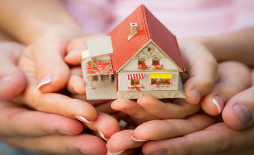 A home represents a major financial commitment, from mortgage payments to equity buildup. With so much on the line in just one purchase. Welcome to the Simpson Insurance Agency. We pride ourselves on providing our clients with the highest quality service in the industry since 1997. With over two decades of experience, we can answer even your toughest questions and help you select the coverage you need. Please look over the information contained in this site, and give us a call or e-mail us if there is anything we can do to help. Notice of Licensure: Simpson Insurance Agency, Inc. is licensed to conduct business in North Carolina. The information on this site is a solicitation to conduct business only in the aforementioned state of authority. Ever Wonder if you have the right coverage for your family?